What is the connection between diabetes and eye problems? Diabetes is the leading cause of blindness in people. It doesn’t have to be. My vision is THE most important thing to me and I take it very seriously. Once I was diagnosed with diabetes, it made me stop in my tracks. I don’t want to lose my vision, or any body parts and I’m sure that you don’t either. So what other vision problems are caused by diabetes? A temporary blurring vision or a permanent loss of vision. Glaucoma and cataracts are other problems. I can or cannot give you figures, but does it matter? Well, maybe if you know how many people are diagnosed each year in the United States with diabetes, you might really sit up, take notice, and DO something about it? Maybe? Ok, so here it is: 1 1/2 million new diagnoses every year. 86 million are prediabetic. If these people do not make any lifestyle changes at all, then almost 1/3 will develop diabetes in the next 5 years. Would you like the figures for people who DO make lifestyle changes? Ok, it’s 66% of people who do something reduce the risk and can also slow down or completely stop the progression of prediabetes to diabetes. Big difference as far as I see it. Those numbers got my attention. I want to keep my diabetes under control. Glaucoma is about the pressure inside your eye. Cells in your eyes have fluid that flows within your eye and when the cells get damaged your eye “network” can’t function properly. Because the fluid can’t flow out of the eye the way it’s supposed to, the pressure inside your eye increases, damaging the optic nerve and can cause permanent vision known as glaucoma. Blood sugar levels can wreak havoc by the levels going up and down. If you have large shifting or changing in your blood sugar levels, you will notice temporary blurring in the eyes. This is due to the fact that the sugar in your blood diffuses into the lens of your eye, causing it to swell. Because blurring results from the changing of the focal point in the eye, resulting in clouding and a cataract. Also known as diabetic retinopathy, your retina is affected by diabetes. The affect can be different in both eyes, but normally the problem will be the same in both. The change in vision can vary. 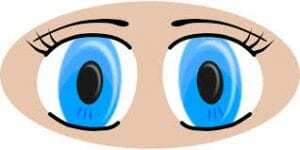 Because your eyes become damaged or swollen it becomes blurry. The change of your vision can be minimal to severe and temporary to permanent depending on the extent of damage and where it’s located and the type of damage. The actual definition of retinopathy is when blood sugar abnormalities cause the walls of your blood vessels to change. The blood vessels expand and leak blood and fluid into the retina. You don’t want bleeding in the eye, but that goes without saying. Your eyes are just too important for any damage. 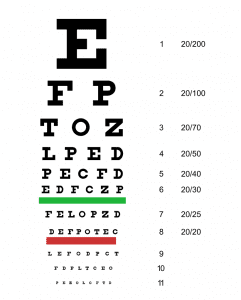 A visual acuity test is performed to determine the level at which you can see. 20/20 is perfect vision and if it’s anything less, the doctor will do a refraction to see if glasses will improve your vision. I’ve had this done many times over the years. 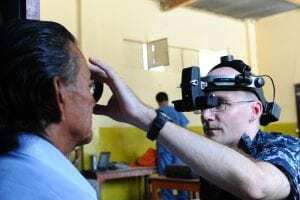 Then your visual field is examined to determine what other objects and other people you can see. Now, I didn’t know what this next instrument was until I asked the ophthalmologist. He or she uses a slit lamp to check for any abnormalities such as cataracts. Again since I go quite frequently to have my eyes tested, I ask questions. Tonometry is the method to measure the pressure inside your eye. You want to make sure your pressure hasn’t increased because it could indicate glaucoma. 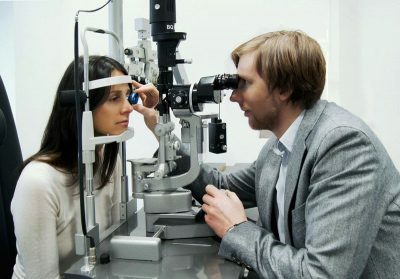 Is it time to seek medical eye care and what questions you have? Even normally you should have your eyes checked once a year, but especially with diabetes. I have mine checked twice a year. I want to be on top of the health of my eyes. Make sure that you see your ophthalmologist. If you have any changes in vision contact your ophthalmologist at once! How are my eyes and eyesight? Is there any sign that points to damage, temporary or permanent to my eyes? Is there any loss or significant loss to my vision and if there is loss, is it permanent? Are there any glaucoma or cataract signs? Is there any treatment required right now for my eyes? How often should have my eyes examined at this point? Don’t smoke, quit, or never start smoking. You know it’s bad for your health in general. You increase your risk of blindness by developing optic nerve damage, cataracts, and macular degeneration. Watch your weight. Obesity leads to diabetes which could lead to vision loss. Exercise regularly. Even if you walk thirty minutes a day, just exercise. Your family history plays a part here. You want to know if any condition is hereditary or not so you know if you are at a higher risk or not. Eat your way to a healthy eyesight. Stay away from junk foods. Fish high in omega 3 fatty acids, halibut, tuna, and of course salmon. Any leafy green veggies such as spinach, kale, and collard greens. The most popular vegetable associated with good eyesight is CARROTS! Sunglasses. Look cool while protecting your eyes from the ultraviolet rays from the sun. Try and wear sunglasses that block out 100% of the rays. Rest those eyes. Reduce eyestrain by resting your eyes every so often. Being on a computer and looking at the screen constantly will do it. Rest every 20 minutes and look away from the screen to approximately 2o feet away and for about 20 seconds. These super foods are awesome! Leafy green vegetables as mentioned before, but they are SO important I just had to mention again. Antioxidants are very healthy and since spinach is my favorite vegetable, I’m happy because it contains lutein and zeaxanthin, along with beta carotene and vitamin C. These act like sunscreen for your eyes. Sweet potatoes. It’s because of the bright orange color that it contains beta carotene and provides the vitamins needed for your eyes. Turkey. Helps prevents cataracts with it’s vitamin B niacin and zinc. Wild salmon. Omega 3’s are KING! There are so healthy for everything. I’m not a fish eater, but I do eat salmon. Blueberries. One of favorite fruits. They are perfect for breakfast, snacks, or anytime. They reduce the risk of of heart disease, cancer, glaucoma, cataracts, Alzheimer’s disease, and help fight cholesterol too. Staying healthy and doing whatever it takes will help you live a better life. Exercise. Bike riding is fun for me and it helps me keep the weight down. .
Take your vitamins. For me, it’s vitamin D and B12. Lose weight and trim the belly fat. You don’t need extra weight in the stomach putting pressure on your back and causing pain either. Control your diabetes. Don’t ignore it. You don’t want low blood sugar or high blood sugar. Apple cider vinegar has many health benefits for diabetes. Avoid stress. I know, easier said than done, but try. Get your sleep. You can’t function without it. You’ll be fatigued the next day if you don’t sleep well. I hoped you learned something from my article because it is extremely important and I really wanted to share it with you because my goal is to help you and pass it on to others. It’s important to keep your blood sugars down and if you need more help, this can help you! If you have any questions about diabetes and vision problems, please leave a comment below. I appreciate your feedback! This article was very informative for me, because my younger sister was diagnosed with diabetes when she was just 3 years old. Since then we are all eating more healthier and trying our best to make her childhood more fun and that one mean diabetes can’t stop her from doing what she loves. Once again, great article with good information for diabetics to have a healthier life. It is amazing how many people have diabetes or pre-diabetes. The fact that most of these are preventable is both encouraging and frustrating… encouraging because there’s something we can do about it, but frustrating because do many people don’t do anything about it. Hopefully a lot of people will read your article and do something about it before it affects their vision. Yes Andy the numbers are staggering to say the least. As long as we are knowledgeable about diabetes and what it can do and we take action, we can all lead a fairly normal life. Every part of our bodies is important especially our vision. Awesome awesome post! Think I want to share this with a few friends. Quite a few of them, as well as some family members suffer with this issue. No one ever wants listen to me until they are laid up in the hospital bed, but they’ll definitely start to think after reading your wonderful breakdown. Really nice..I hope more people really begin to take this kind of advice seriously. Thank you. Vision is so important to me. I just want to spread the word so people know well in advance the complications of diabetes and what it can do if ignored. 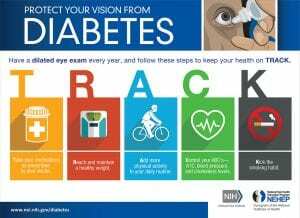 Please keep on top of diabetes and your vision. Terrific article. More people need to realise that diabetes creates dreadful eye conditions. And more people who have diabetes and are almost blind (and suicidal – I have a friend who works in a charity that helps people who are going blind and its suicidal stuff for people who have had their eyesight all their life) need to understand they can heal their diabetes with diet. – I know of 2 people with diabetic retinopathy who got their eyesight back from blind, within 2 weeks from following the diet you talk about. Good stuff. Would love to know which supplements help too. I can’t stress enough how important eyesight is. We shouldn’t take anything for granted. With diabetes, have your eyes checked by a doctor once or twice a year. It must be tough for your friend to work with people with those conditions, but let’s all keep our blood sugar monitored and watch what you eat. Don’t forget exercise. This article really puts things in perspective.. My mom was just diagnosed as diabetic and her eyes already aren’t great, age certainly doesn’t help. It’s scary to think she could go blind if she isn’t careful, but I’m so glad to find out there is something she can do! Sorry your mom was just diagnosed but it’s wise to be on top of diabetes from the start. Having your eyes checked for glaucoma is a VERY wise decision as I have mine checked twice a year. As long as she stays on top of it and chooses wisely her choices as far as eating, exercising, checking blood sugar,and visiting the doctor, then she will be doing all she can do to preserve her vision. As you say, keep an eye in your family. Surprisingly, many people don’t do it and then one day the doctor ‘surprise’ them with the diagnostic: diabetes. That happened to a friend a couple of months ago. He is just 40 years old and started to have some vision problems. Once he visited the doctor, diabetes was the answer. That’s why I keep going to the doctor to have my eyes checked every six months. I’m doing the best I can to control the diabetes because I don’t ever want to lose my vision. People with diabetes should do the same. See your doctor. You don’t be surprised!